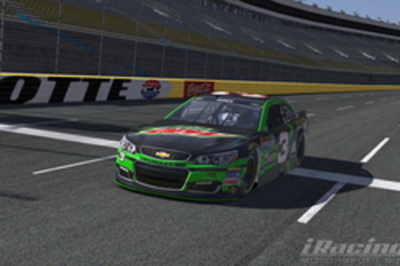 40 lap race Top 2 qualifiers locked in position for the Daytona 250. Other drivers will have to race for their spots. Where you finish, is where you start for the Daytona 250!!! 50 laps, competition caution at lap 22. 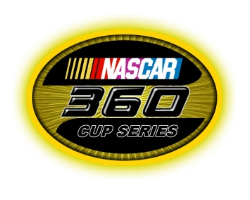 The Grand Slam in NASCAR 360 is the achievement of winning NASCAR 360 Cup Series "Dash for Cash" races in a total of $100. Format: Drivers become eligible for the Grand Slam by finishing in the top five at each Grand Slam event. The five races comprising the Grand Slam are, in chronological order: Daytona 250, Coca-Cola 300 (Charlotte), Southern 250 (Darlington), Road racing (Watkins Glen), and Talladega. Each Grand Slam event consists $20 to the race winner. If all five qualified drivers fail to capture the $20 at a particular Grand Slam event, the cash will not roll over to the next event.